I felt really young last night. The average age of the punters were in the 50’s! And, no, I didn’t see Pink Floyd. It could’ve been if I hadn’t worn my glasses or had closed my eyes throughout the entire performance. I have waxed lyrical here on tribute bands. 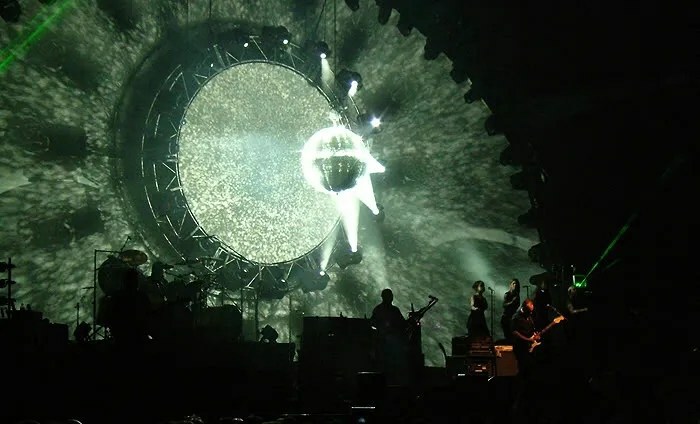 The Australian Pink Floyd Show is actually one of the best of its kind in the world. They’ve played arenas (not just the toilet circuit) in America and Europe. They’ve even played at David Gilmour’s birthday party and jammed with Rick Wright. And they’ve done the Royal Albert Hall (apparently with Roger Waters in attendance), complete with the Islington Green School choir on Another Brick In The Wall. Hence the reason I just snapped a ticket online a couple of days back and got myself a great seat. Despite being a tribute band (I’ll not add the adjective simply here), they sold merchandise at the booths. Pretty much imaginatively altered iconic images of Floyd’s albums, with an Aussie touch. They had no opening act and when I was ushered to my seat, I just saw how elaborate the stage was. 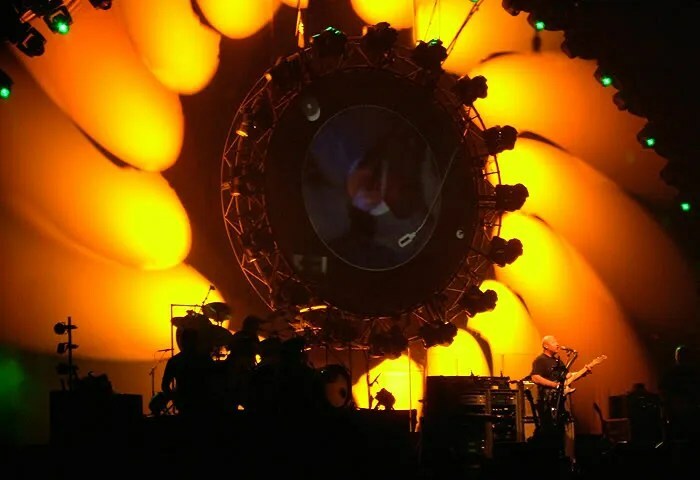 Two large projection screens like the one at Floyd’s sold-out Earls Court gigs in 1994, albeit slightly smaller. I just couldn’t wait by then. They kicked off the show with the longest Gm chord in rock history. Complete with the surreal Thorgerson-eque montage playing on the screens, with the addition of a mental grinning guitar-wielding pink kangaroo added for good measure. Shine On You Crazy Diamond was simply beautifully played. Now this wasn’t a tribute band that simply had ‘Waters’, ‘Mason’, ‘Gilmour’ or ‘Wright’, but they had different band members fulfilling different roles. like for Shine, they had this young chap singing who could uncannily do both Gilmour and Waters’ singing parts. It didn’t really matter that they didn’t look anything like Pink Floyd as they sound 98% like them! 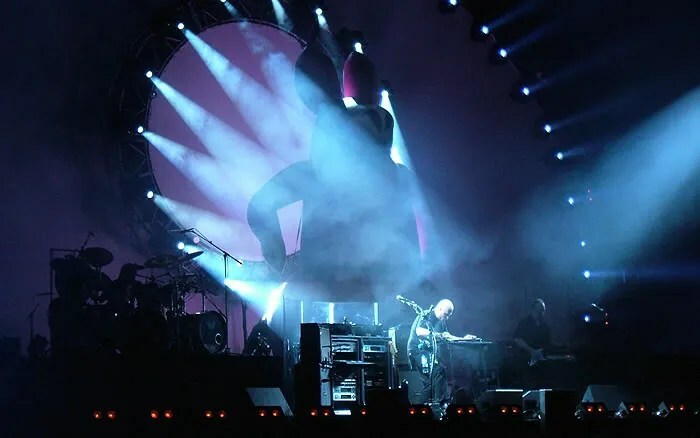 The set was reminiscent of Floyd’s show at the Nassau Coliseum in NYC (in 1988) which was filmed for The Delicate Sound Of Thunder as the Aussie Floyd went on to play Learning To Fly. They had four gyrating ‘sheilas’ on backing vocals who sounded bloomin’ fantastic. They played a couple more new-ish post-Waters ones that night – On The Turning Away and something from The Division Bell (i don’t have this one!). Most of the montages were taken from the real Floyd ones and embellished, like Us And Them and Money. Other Dark Side Of The Moon staples they played that night much to our delight were Brain Damage (with images of the likes of Bush, Blair, Saddam and Thatcher playing) and Time, complete with the Breathe reprise. However, the highlight of the Dark Side material was truly The Great Gig In The Sky, sung by two of the sheilas. Bloody ‘ell, they’d give Claire Torry a run for her money. To anyone ada hati nak buat Floyd tribute, bikin ini lagu dulu. 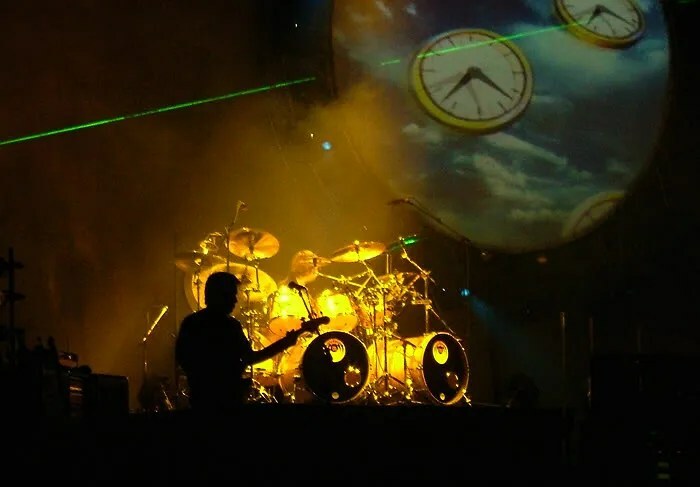 Another thing the Aussie Floyd did was to play really older tunes like Astronomy Domine and Set The Controls For The Heart Of The Sun. The original recordings sounded dated (nothing wrong with that) and it was great to hear what it may sound like if the real Floyd were still touring today. I wished they had played Echoes but no way were they playing a 23-minute song live (check out the Aussie’s version of Echoes here). Legend has it that the Aussie Floyd has the exact stompbox that Gilmour used for the gull sounds on Echoes. Before you rush to eBay, lmsn rds, only four of the boxes are thought to exist, three of which are Gilmour’s. The radio noise before the Aussie’s rendition of Wish You Were Here was great, which included the theme from Neighbours and some Rolf Harris. They went a little theatrical on the poignant Nobody’s Home with the singer donning sunglasses sitting in front of the telly. A Pink Floyd gig won’t be complete with just a light show. The Aussies had two inflatables: one was (half of) a pig with red laser eyes (the real one from the Floyd’s 1994 Earls Court gigs) during Pigs and the other was a bouncing pink kangaroo during the pedal steel solo of One Of These Days. Awesome! They ended their main set with Comfortably Numb and came back for an encore of two songs – Hey You and the eponymous Run Like Hell. Like many others who had seen these guys, I’d recommend going to see them live if you are a fan ‘cos it’d be a miracle if the real thing will play live ever again. YouTube vids from various gigs worth checking out: Pigs, One Of These Days, Wish You Were Here and Run Like Hell. Green, still… but THANK GOD! Jgn, woi… jgn! Aku tak kawan kau nanti. gila ironic/tongue in cheek the name of the tour: “run like hell”. hehe.